Have you always dreamed of learning to play the guitar? Well maybe it’s time to put down the air guitar and pick up the real thing! Becoming a musician can be fun and may not be as difficult as you think. Having Guitar Lessons in Stoke-on-Trent with Amadeus Music Academy is an enjoyable way to learn to play the guitar with the help and encouragement of a qualified teacher. It doesn’t matter if you are young or old, we can all learn to play the guitar. Being young might mean you learn things more quickly, while being a little older could bring with it more commitment and determination. Either way having guitar lessons in Stoke-on-Trent with Amadeus Music Academy will help you broaden your musical capabilities. Whether you want a lesson once a week, or five times a week, we can tailor the lessons to suit your needs and teach you in a safe and friendly environment. Our tutors are DBS checked assuring you peace of mind and the ability to trust all our music tutors. With Amadeus Music Academy, guitar lessons in Stoke-on-Trent can be tailored to anyone ranging from a beginner to someone who is Grade 8 advanced. Whether you’ve had a few years of lessons, taught yourself or never picked up a guitar, lessons are based around you. They can include what you like to play, what you listen to and what you enjoy. Professional guitar lessons in Stoke-on-Trent will provide you with the opportunity to learn how to get the best out of your guitar teaching you new techniques and methods for you to produce great sounds. While Amadeus Music Academy provides one to one lessons, we can also cater for small groups if you would prefer to learn alongside others. You will be taught chord recognition, finger picking, strumming as well as sight reading. 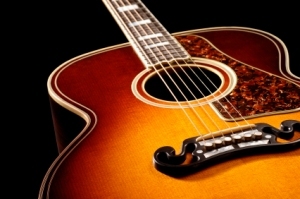 So what are you waiting for, unlock your musical potential – learn to play the guitar!